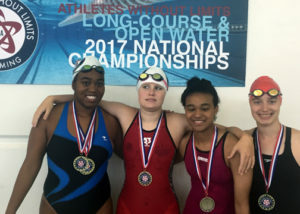 Congratulations to all the swimmers who recently competed in the 2017 Athletes Without Limits Long-Course & Open Water Swimming Nationals in Atlanta Georgia July 6-9th. 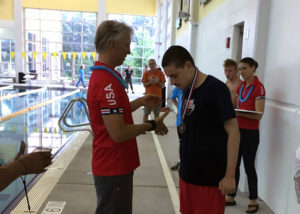 In addition to being the National Championships for S14 swimmers with intellectual disability, the event was the first in the US to include two new Inas pilot classes for athletes with Down’s Syndrome and athletes with Autism+. To learn more about the criteria visit our eligibility page. 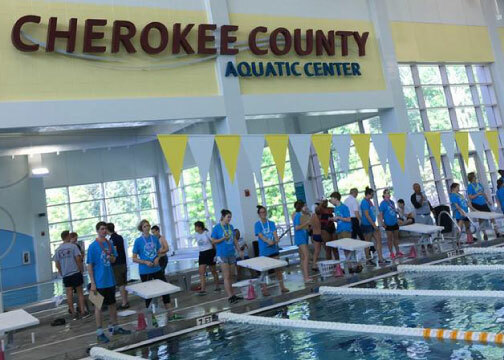 Special thanks to the Athletes, Families, Officials, Volunteers, Cherokee Aquatic Center Staff, Georgia Games Staff, Foundation Funding and Coca-Cola Sponsors Powerade & Dasani Water for making this inaugural event such a success! 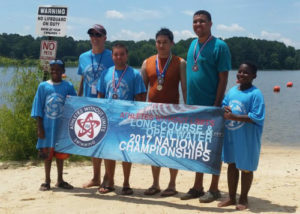 All swimmers may see their times and overall finish by downloading the official Hytek long-course results (PDF) above. 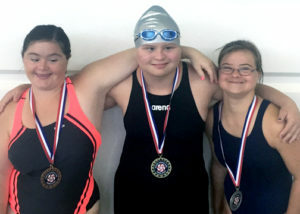 Athletes Without Limits National Championship medals awarded by disability class are listed below by event. 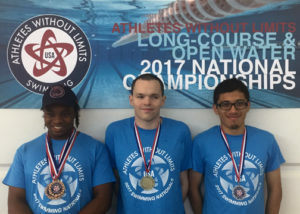 All swimmers may see their time and overall finish by downloading the official Georgia Games Open Water Results (PDF) Athletes Without Limits National Championship medals awarded by disability class are listed below under open water events 23, 24, 25 & 26. To see more photos and videos from the event visit our Facebook Page. 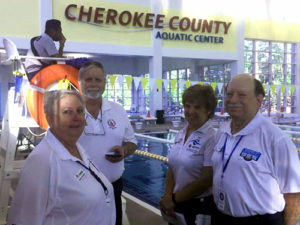 The Cherokee County Aquatic Center’s 50m pool was an ideal venue for the long-course meet. 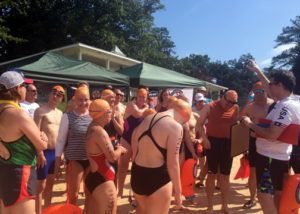 Meet Director Pat Thoreson leads a pre-swim meeting at Lake Acworth. Special thanks to the volunteers and officials who helped make the event a success.